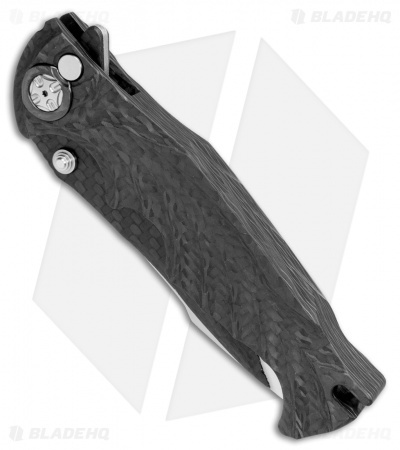 This custom Tighe Breaker folder features an integral, single piece fluted carbon fiber handle with zirconium pivot collars and pocket clip. 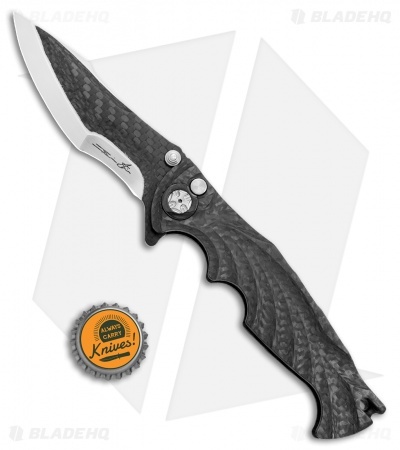 It has a unique satin finished blade with carbon fiber outer layers. 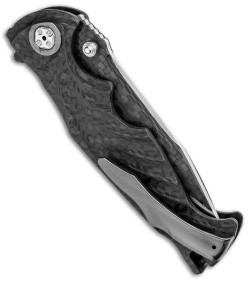 A flipper and dual thumb stud openers allow easy one-handed opening. 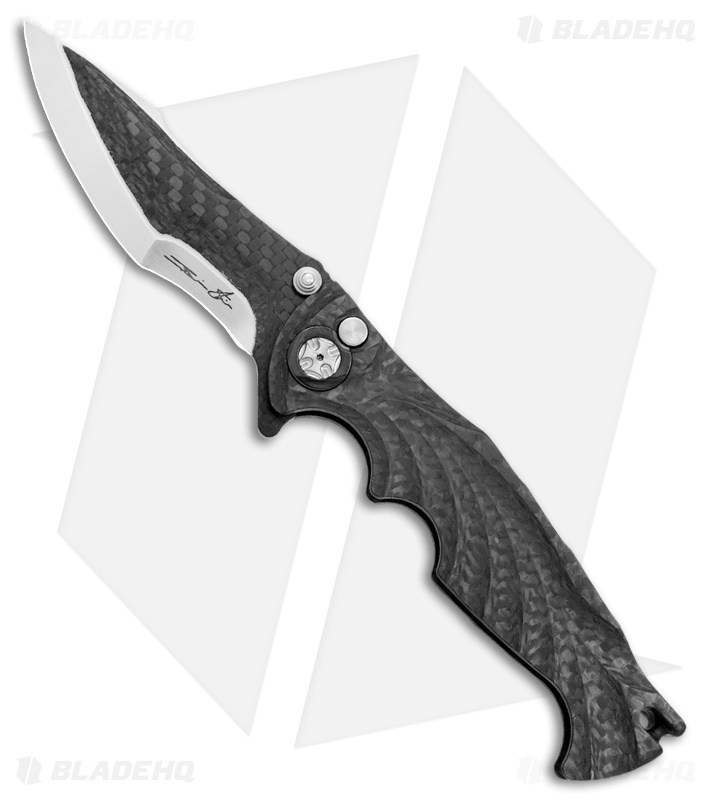 This custom knife is yet another example of Brian Tighe's superb work.